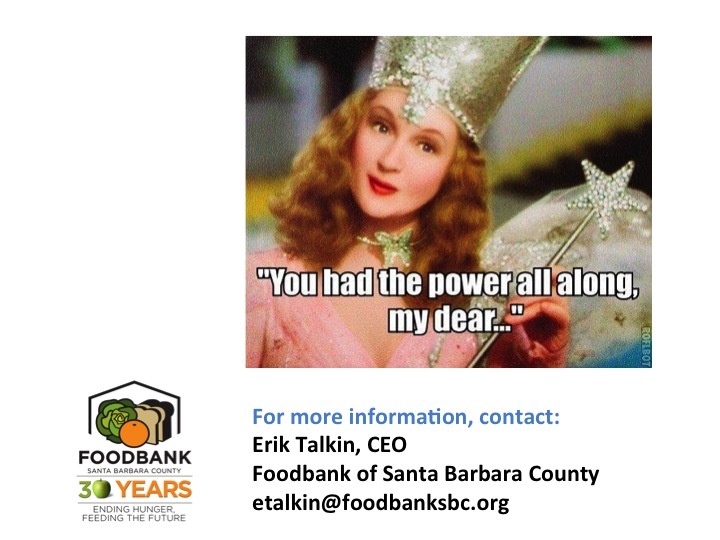 Your nonprofit organization steps out onto the yellow brick road, hearts full for your hopeful march to achieve your mission. 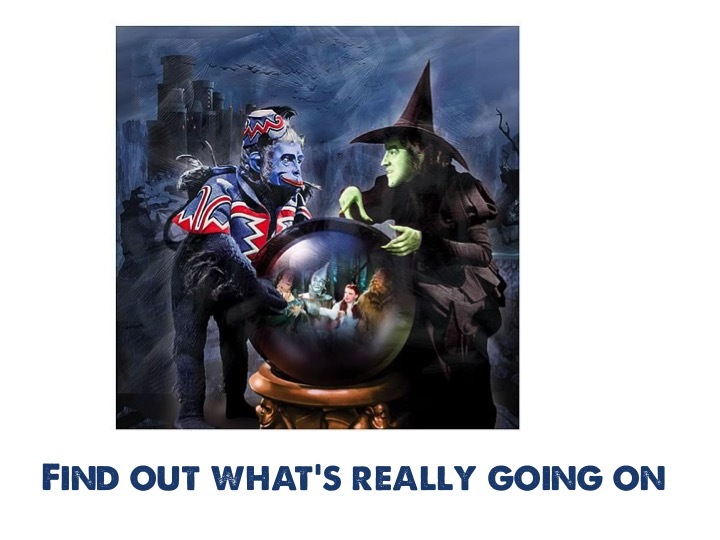 So why is it that the Emerald City doesn’t seem any closer now than it was a year ago, or even five? Maybe because there is a fork in the road that you are missing which could really get you there. Maybe you need to pivot. 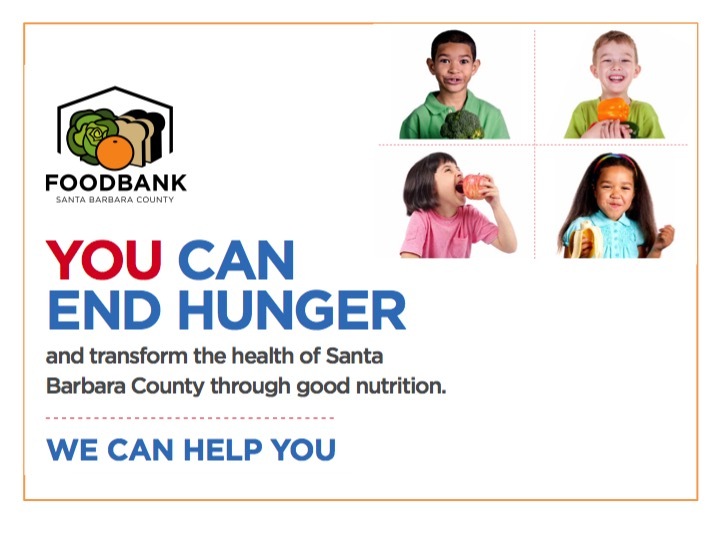 The Foodbank of Santa Barbara County has been engaged in a significant pivot over the last five years from simply providing emergency food to 300 local nonprofit agencies to operating like a preventative health organization, raising low-income people’s health in the cheapest way possible – through what they eat. We were originally seen as an essential organization for the community, but one whose job was to apply a nutritional band aid to a problem that could never be fixed. 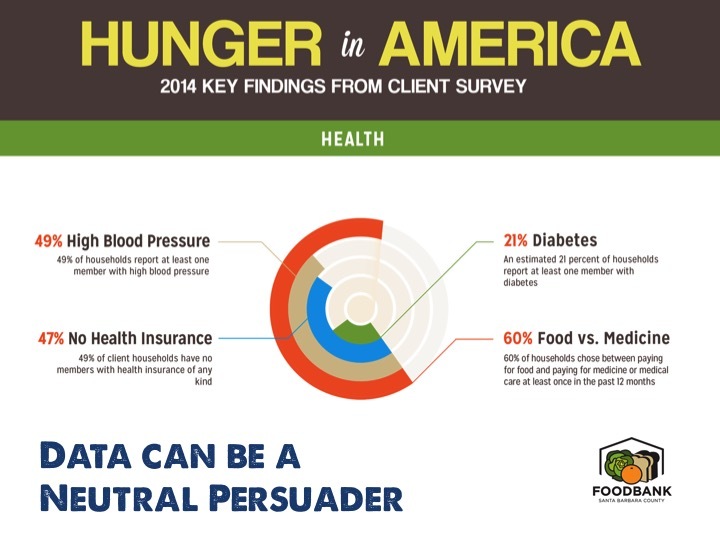 We knew the true hunger issue locally was a form of institutionalized malnutrition – lack of food access for healthy food and easy access to poor quality food. These factors led to poor nutrition and health. Even more significant was a lack of the skills and empowerment needed to make good use of fresh. 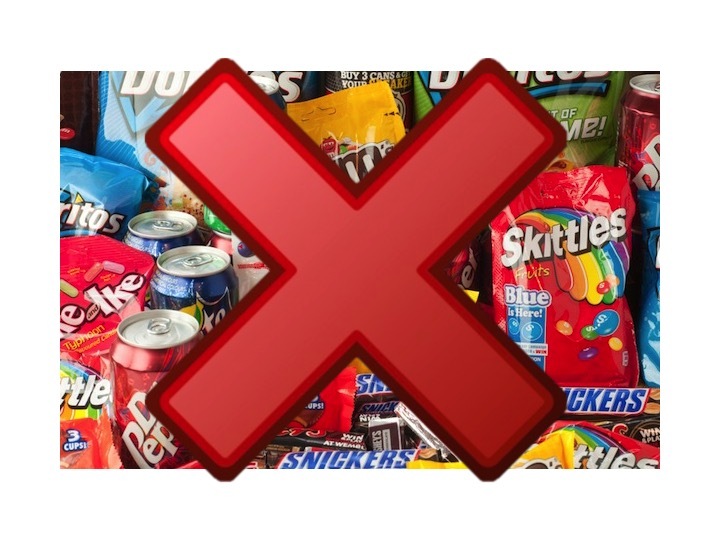 Our first stage was to outlaw candy and soda and put hundreds of thousands of dollars into sourcing more fresh produce and making it available free to agencies. Our pivot has been a big success for us, so let’s consider what tactics might be applicable to you in your situation. Why don’t you start by taking a helicopter view of what you are doing and how it fits in with who else is doing what in this area. Take a hard look at your true impact against the total need both from the perspective of the individuals you serve and related to what the community really needs. Consider extensive stakeholder and user interviews. You will probably find that your end users have a different perspective of your services than you do. 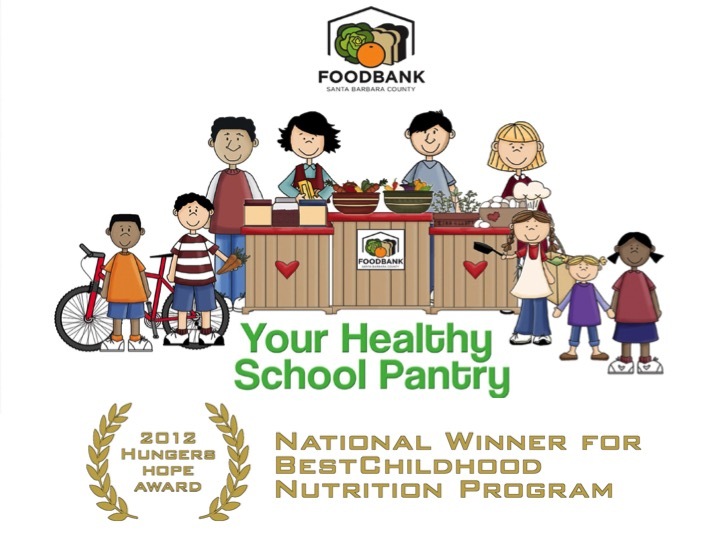 With the Foodbank, once we’d made this commitment to pivoting by focusing on nutritional health rather than pumping out empty hunger –inducing calories, we realized that ‘charity’ was not going to get us more than part of the way to our destination. 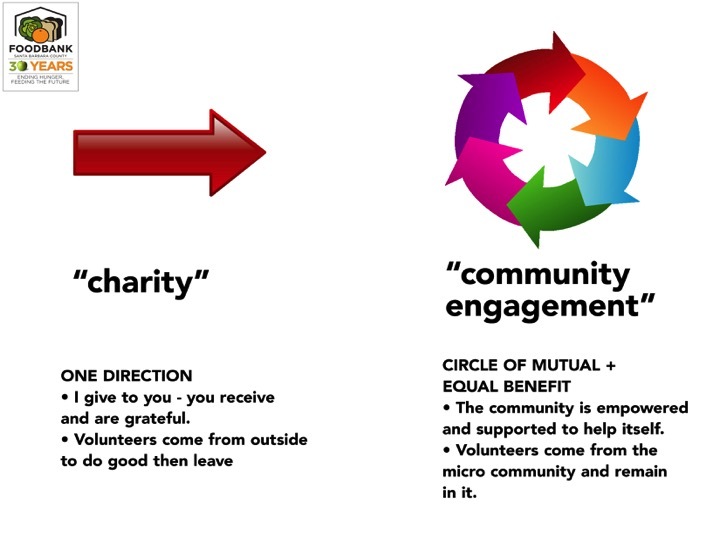 So we moved from focusing on a simple one-way charitable exchange to messy, awkward exhausting – yet sustainable – community engagement. 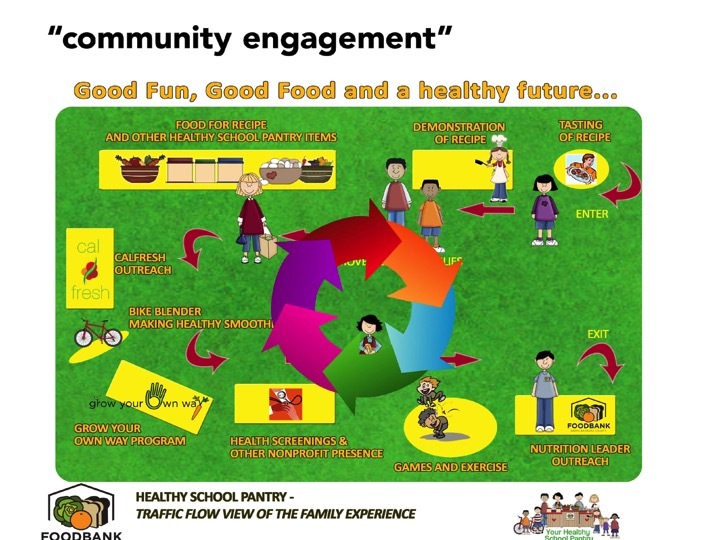 This was exemplified in our programs like the national award winning HSP, where an old model of food distribution (poor kids go to a room and pick up your bag of food while everyone watches) was replaced by a mutually supportive healthcare model that engaged the whole family in the excitement of helping each other stay healthy with food. In our previous mission, everything was about the short term and today’s crisis. Our clients are needy, we are needy as an organization. Help! Help! That will get you sympathy money. That will get you ‘go away’ money. But it will not get you the money you need to try to really solve the problem. Move out of your historical comfort zone and do more of what needs to be done (as opposed to what you’re ‘good’ at doing) and build the partnerships that will help you reach the destination in collaboration with others. 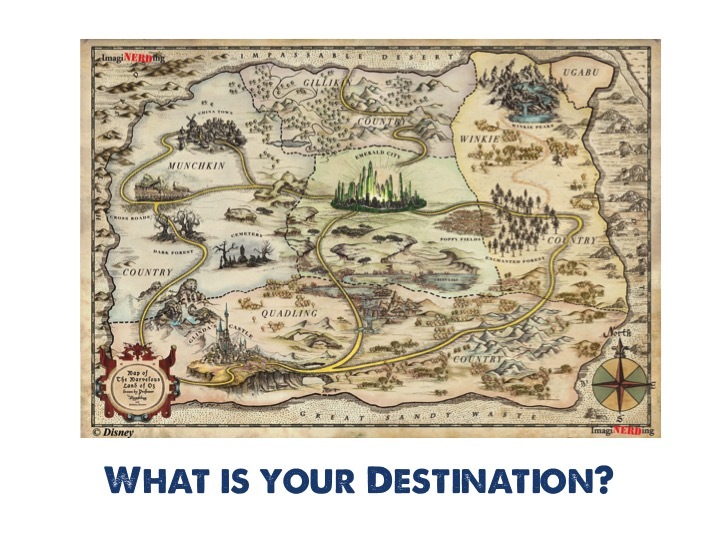 What chunk of the destination goal could your organization take on, either by yourself or in partnership? How can you build support and resources for this? 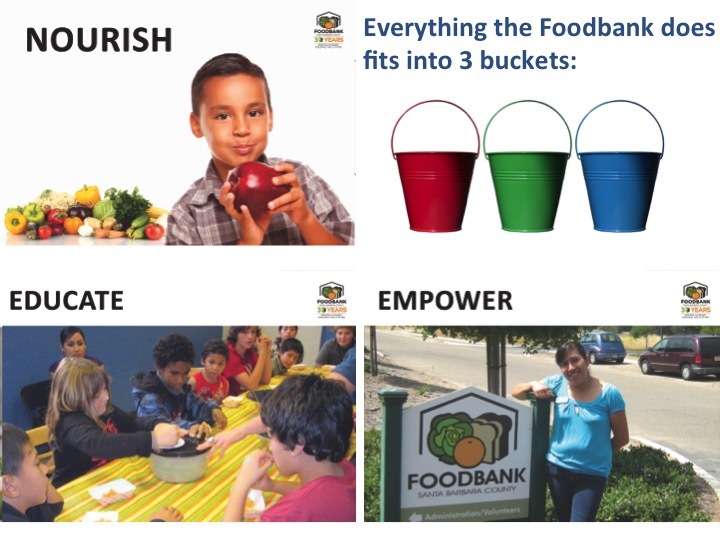 Your pivot will fail if societal and local circumstances are not in favor of it (for the Foodbank it was donor and client interest in healthy food available for all, and also granting foundation interest in moving from outputs to long term outcomes). 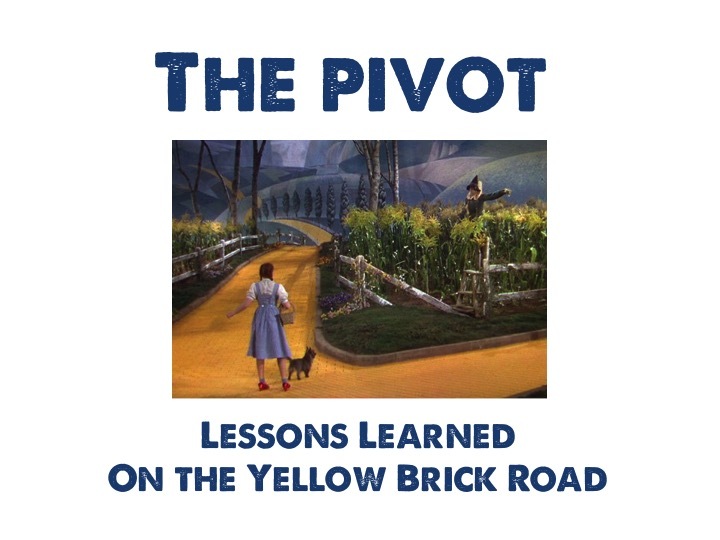 Another reason to pivot may be to avoid a big bad twister of a change in the outside world that is coming toward you. 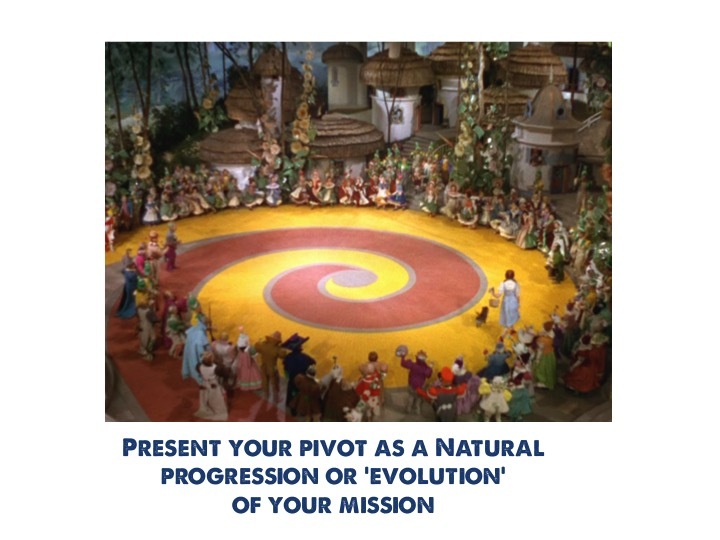 It may be easier to sell your pivot as an ‘evolution’ as opposed to a sudden turn. It will cause less unease for all parties. And with some people you just have to pretend nothing’s changed! Use data to win the argument for pivot – this is a way of avoiding it being a battle of personalities. Who are the supporters who can help you compile and interpret this data? 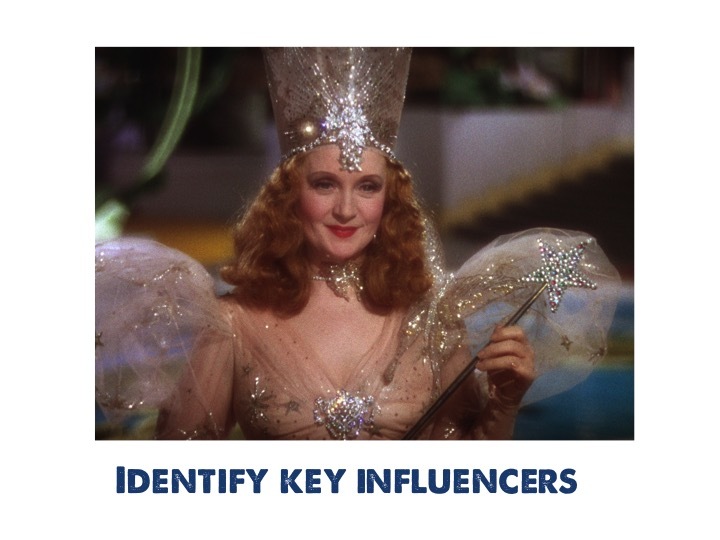 Who are the key influencers that can help you make the case for a pivot? 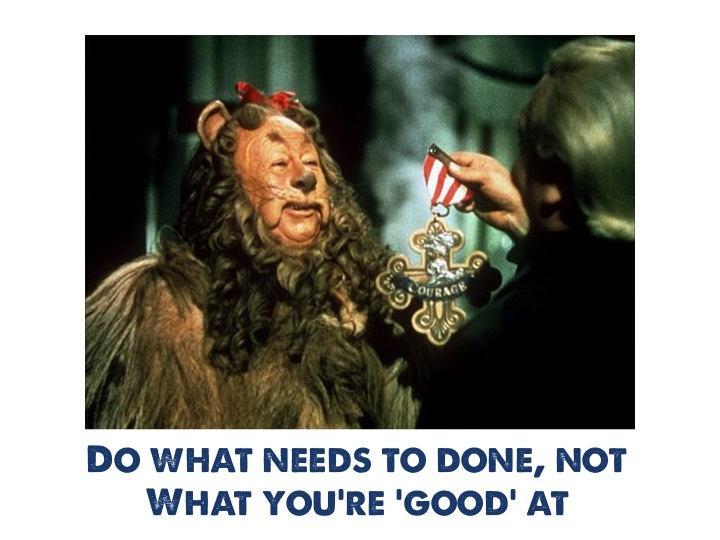 Look for individual champions on your board, volunteers and funding community to influence others. Balance when to ask permission and forgiveness. 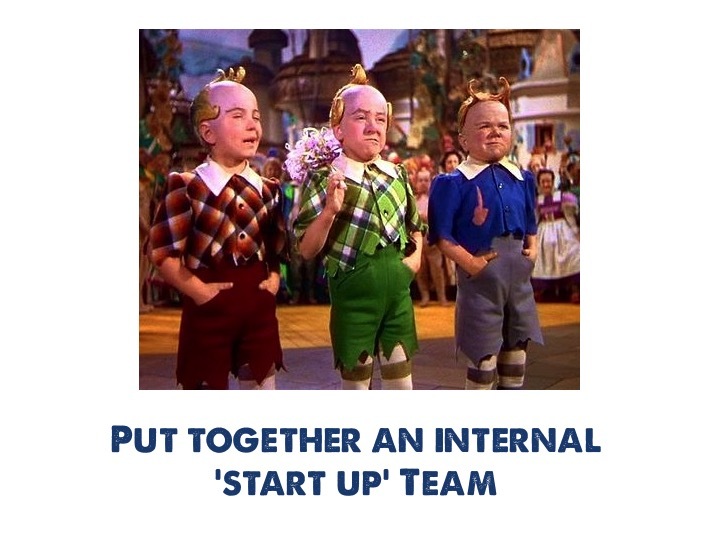 You may have to operate like an internal start-up within your larger organization. This will be a core group of believers who can steer change. Money greases the most painfully grinding of wheels. So find a source of outside funding which will enable you to research or take on some small initial facet of your pivot. 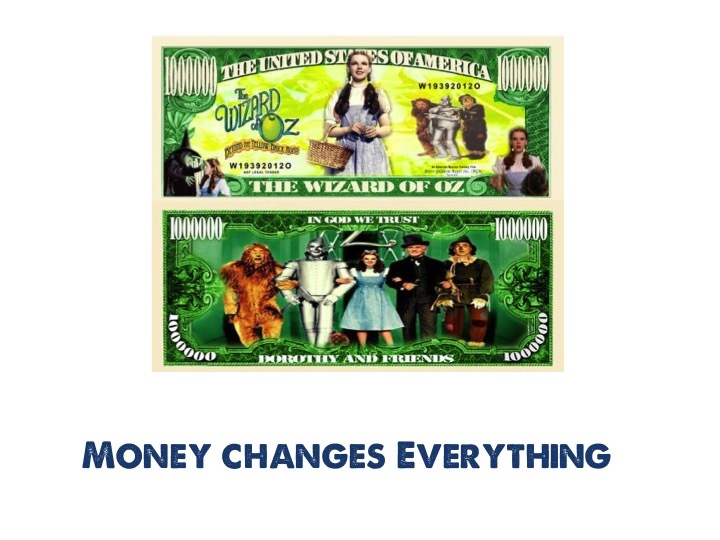 Use this outside money to speed internal change. Use this ‘win’ to demonstrate to those who are on the fence that your pivot will draw new forms of support. We were able to secure partial funds to hire a dietician, and it enabled us to make a lot of changes. 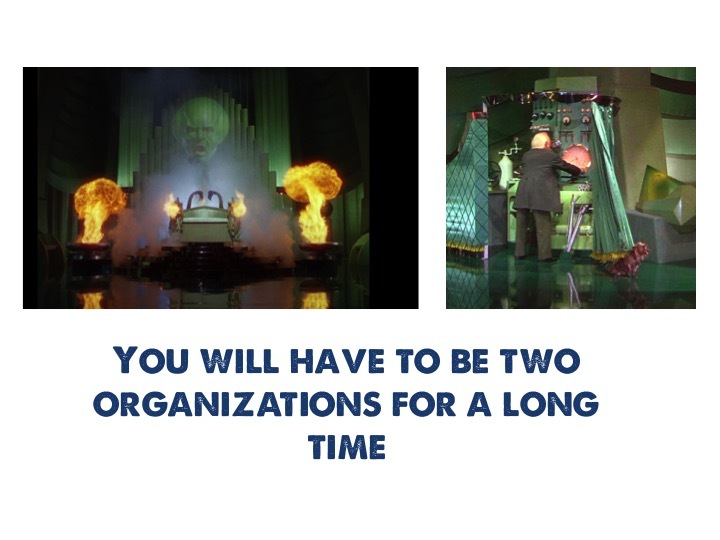 Make peace with the fact that your pivot may require you to be a ‘two-faced’ organization for a period of time presenting either the old or evolved mission in different ways to different people. Finally, it’s not all about the outside world. Pivoting the mission is a lot easier than pivoting the culture. What is your plan for making this kind of shift internally? Identifying and empowering champions is one way. Firing or ‘freeing up the future’ of people who cannot move on in their thinking is another uncomfortable but vital tool. 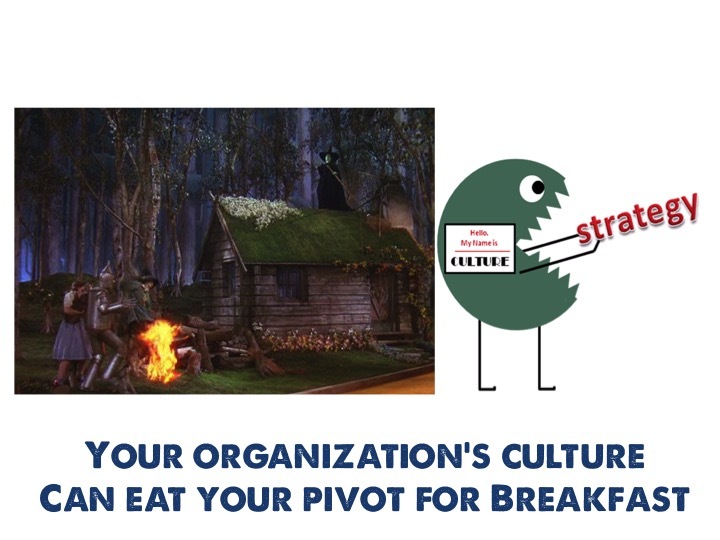 The culture is going to be the last thing to change and it will take years (Culture eats mission for breakfast). As long as you remember Glinda’s words and you will get there just fine.